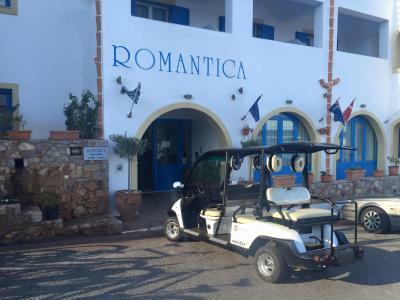 Lock in a great price for Romantica Hotel – rated 8.1 by recent guests! Breakfast good, many choices. Beds were comfortable and the room airconditioned and clean. The staff were very helpful and friendly. Good base for exploring. 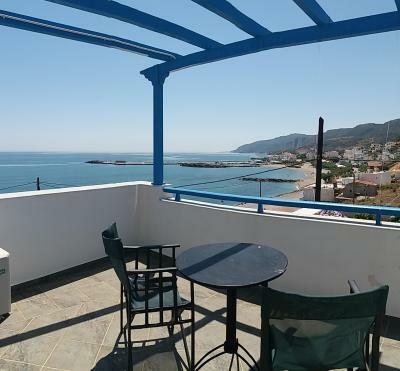 Nice view from the balcony, friendly staff, very good location (just a 2 minute walk to Agia Pelagia beach and the nearby tavernas and shops). The room was clean and the bathroom was both clean and spacious. Breakfast was more than adequate in terms of both variety and quantity. La posizione vicino al mare, colazione soddisfacente perché mancava qualsiasi tipo di frutta, personale gentile. Camere con arredamento caratteristico. Η κοπελα στην ρεσεψιόν ηταν καταπληκτική και συνεχως χαμογελαστη τέτοιοι υπαλληλοι πρεπρι να,στελεχωνουν τα ξενοδοχεία. Ντενια συγχαρητήρια αψογη μπραβο και στο αφεντικότελεια επιλογη προσωπικου! De persoonlijke aandacht was geweldig en de kamer werd elke dag super goed schoongemaakt ,met te lieve extra aandachtspuntjes . We voelden ons hierdoor heel speciaal ! 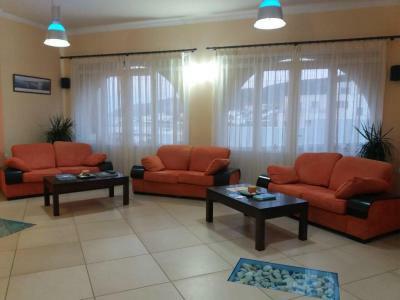 Romantica Hotel This rating is a reflection of how the property compares to the industry standard when it comes to price, facilities and services available. It's based on a self-evaluation by the property. Use this rating to help choose your stay! One of our best sellers in Agia Pelagia! 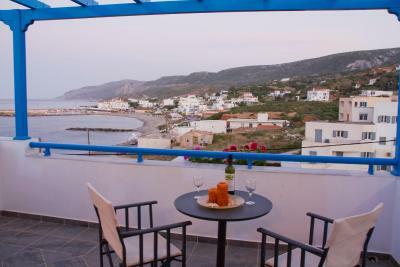 Just 100 feet from Agia Pelagia Beach, Romantica Hotel offers air-conditioned rooms with balcony overlooking the Aegean Sea. 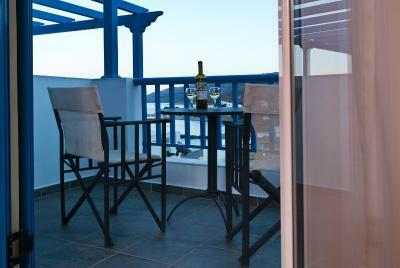 Guests have access to free WiFi and a rich breakfast buffet. All rooms have wrought iron beds and bright colors. They are equipped with fridge, safety box and LED TV. Bathrooms feature a hairdryer. Daily maid service is available. 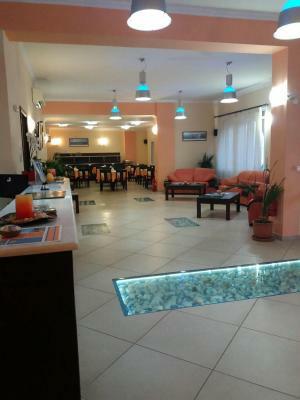 Hotel Romantica’s fully air-conditioned snack bar serves light meals and drinks throughout the day. There is a TV and lots of seating space in the hotel’s lounge for guests to relax. 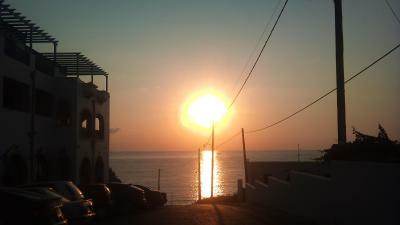 The seaside village of Agia Pelagia has fish taverns and some cafés within a 5-minute walk from the hotel. 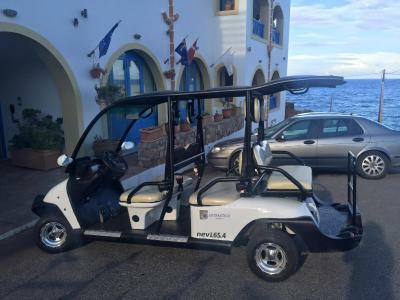 Shuttle services to Agia Pelagia can be also arranged. 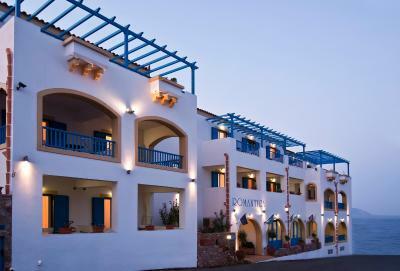 Chora, the capital of Kithira is 17 mi away and has many attractions such as a Venetian Castle. The island has regular boat connection to Crete. 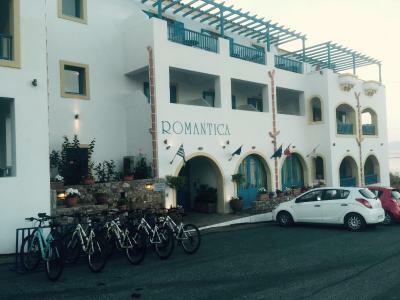 Free public parking is possible at a location near Hotel Romantica. 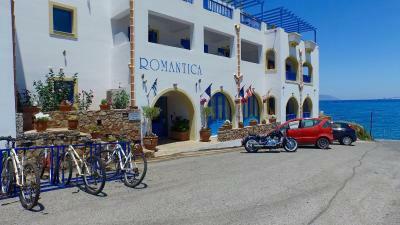 When would you like to stay at Romantica Hotel? More spacious accommodations. This room type features a jet shower cabin. 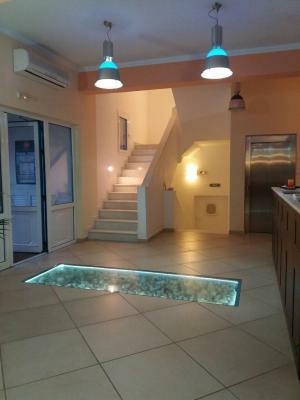 House Rules Romantica Hotel takes special requests – add in the next step! Romantica Hotel accepts these cards and reserves the right to temporarily hold an amount prior to arrival. 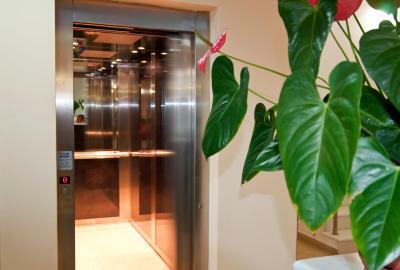 Management need to put in place some organisational procedures for the cleaning staff. Location and views were excellent. On some days, there was a bad smell in the room. Wi-Fi connectivity was intermittent. Some short of shading mechanism was required in the balcony (in order to be able to sit and enjoy the view in the afternoon). In general, the room was a bit expensive, even for the peak tourist season, when the offered amenities were considered.